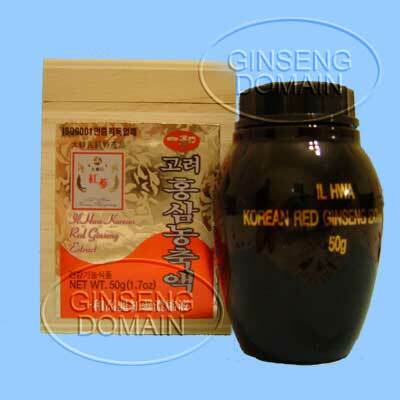 The Original Ginseng Shop is one stop webshop for all your Korean ginseng products. Our ginseng extensive range includes selection of the best ginseng producers such as Il Hwa Korean Ginseng, Cheong Kwan Jang 6 years old Korean Red Ginseng (Korea Ginseng Corporation) and Panax Extractum Chinese Red ginseng (6 years old red ginseng - Pine Brand). We also stock well known Peking Royal Jelly products. It is quite unlikely that you will find our product range in your local store. We guarantee that we sell ONLY the original, highest quality ginseng products. We advise you stay away from cheap imitations available on the internet. We accept major credit cards, cheques and PayPal. NEW FROM IL HWA !!! IL HWA KOREAN GINSENG EXTRACT AND CAPSULES ON SPECIAL FOR A LIMITED TIME ONLY !!! Green Tea Ginseng Extractum is a health drink from the manufacturers of the famous Panax Ginseng Extractum - Pine Brand products. Take it by supplied straw. Shake well before using - residue does not affect the quality of this premium product. When you by Il Hwa Korean Ginseng you can be absolutely sure that you are getting the very best ginseng in the world. Il Hwa Korean Ginseng Extract is a condensed form of pure liquid extracted from high quality ginseng roots through a low temperature vacuum method. This new method preserves the original efficiency and flavour of ginseng. It is delicious both in hot or cold water. Il Hwa Korean Ginseng Tea (4 star) is pure, natural food in the form of golden granules. The three grams used for one cup of tea contain 300-500mg of ginseng extract, which is equivalent to one tenth of the extract contained in raw ginseng roots that are more than four years old. There are no artificial additives in IL HWA Korean Ginseng Tea. Cheong-Kwan-Jang Korean red ginseng is produced only from 6 years old ginseng roots. This red ginseng contains 30 types of ginsenosides. Six-year-old fresh raw ginseng was carefully selected, washed thoroughly with underground water, steamed, sun-dried and pressed into a wooden-made pine tree box. Therefore, it can be stored as long as 10 years without denaturing its active ingredients and losing its pharmacological activity. Pure ginseng powder is prepared by pulverizing the red ginseng root into particle size below 125 m and encapsulated. Each capsule contains 300 mg of Korean Red Ginseng Pure Powder. Korea Ginseng Corporation is the oldest ginseng manufacturer in Korea. This qulity product is made from 6 years old Korean ginseng roots. IL HWA Korean Ginseng Extract is a condensed form of pure liquid extracted from high quality ginseng roots through a low temperature vacuum method. This new method preserves the original efficiency and flavour of ginseng. It is delicious both in hot or cold water. Each bottle contain 30g of pure, best quality white ginseng extract made from only 5 years old korean ginseng roots. Il Hwa Co. has an official endorsement from the Korean Government. They simply make the best ginseng products on the planet. Australian Emu oil liniment for temporary relief of pain of arthritis and rheumatism; relief of muscular aches and pains; relief of muscular cramps and spasm. Ingredients (per 100ml): Australian Emu Oil 20ml; Menthol 25g; Methyl Salicylate 25ml; Camphor 10g;Turpentine Oil 15ml; Oleoresin Capsicum 0.5ml. Capsules with pure ginseng powder prepared by pulverizing ginseng roots into particle size below 125m. This products is made from only 4 - 6 years old ginseng roots under rigid inspection. Convenient way of taking ginseng for people on the go. For extra sport performance Panax Ginseng and Royal Jelly combination. 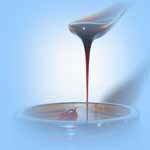 Each 10ml dose contains extract equivalent to dry panax ginseng root 1000mg and royal jelly 2000mg. Standardised Ginseng extract potentiating influenza vaccination The aim of the study was to determine the properties of a standardized extract of ginseng root in inducing a higher immune response in vaccination against influenza..
American Ginseng (Panax quinquefolius L) and Type 2 Diabetes Mellitus - Despite a lack of medical evidence to support its therapeutic efficacy, the use of herbal medicine has increased considerably. Ginseng, one of the most widely used herbs, is hypothesized to play a role in carbohydratemetabolism and diabetes mellitus. We therefore undertook a preliminary short-term clinical study to assess whether American ginseng (Panax quinquefolius L) affects postprandial glycemia in humans. Effects of American Ginseng Berry Extract on Blood Glucose Levels - Our results support in vivo antihyperglycemic and antiobese activity of American ginseng berry extract that may prove to be of clinical importance in the prevention and treatment of Type 2 diabetes.